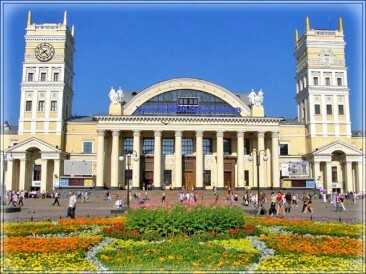 Kharkov is the second largest city in Ukraine with a Population of over 1, 5 million people. From 1919 until 1934 it was the capital of the Ukrainian SSR, until it was supplanted by Kiev. 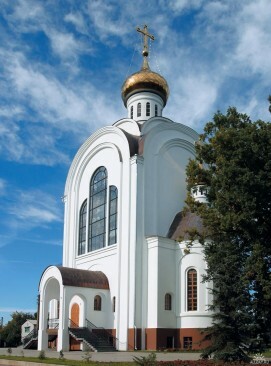 The town is situated in the north-eastern part of Ukraine, on the border of two landscape belts - forest-steppe and steppe, near the junction of the Lopan and the Udy rivers, that flow into the Seversky Donets. During the last three centuries, Kharkov has become not only a traditional center of Eastern Ukraine but also one of the most developed industrial cities of Ukraine. 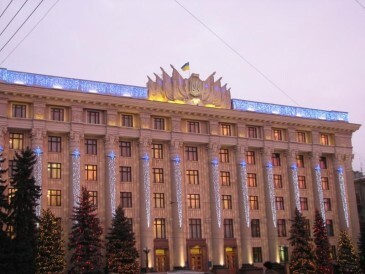 Kharkov is one of the biggest scientific, technical and commercial centres of Ukraine. 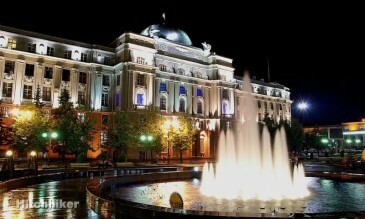 Kharkov is also called as the City of Students - by the number of higher educational institutions and Universities Kharkov stands first place in the Ukraine including one of the best universities of foreign USSR (Kharkov State University), all-Ukraine famous Law Academy, Aviation Institute. More than 188,000 students, from all around Ukraine and foreign students from 50 countries come to study in its institutes and universities. The city has several historic buildings dating from the 17th–19th centuries, including the cathedral of the protectress (1686) and the cathedral of the Assumption (1771). The university dates from 1805, and there are numerous scientific research institutes. 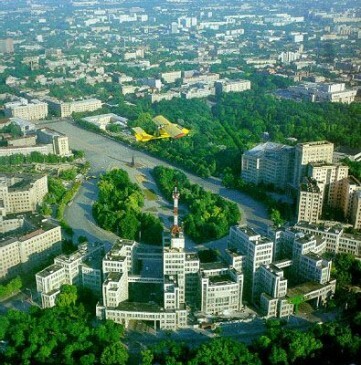 Kharkov is a very green city. Tourists like this city because of wonderful parks and squares. 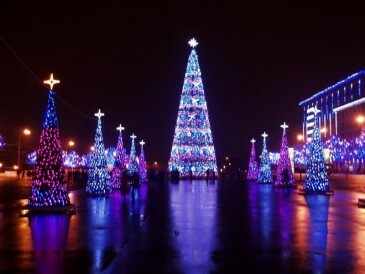 The main square in Kharkov is the biggest in Ukraine and one of the largest in Europe. 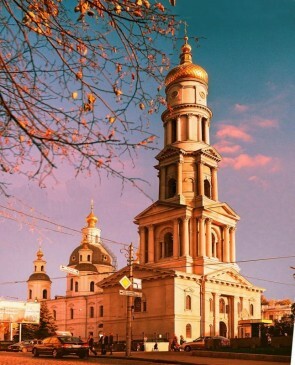 Historical museum, cathedrals, churches, theaters, exhibitions - there are a lot of interesting places in Kharkov you will be able to visit. Kharkov has much to offer in the cultural and architectural arenas with its wide tree-lined boulevards and historical buildings. Kharkov is a major industrial center that includes companies specializing in electronics, engineering, aviation, food and chemical production, etc. Climate in Ukraine is temperate-continental, but for the Crimea where there is a subtropical climate. Winter is long, snowy and cold, average temperature in January is - 6 Celsius degrees (21 Fahrenheit degrees). The coldest month is February. Summer is not very hot, average temperature in July is +19 Celsius degrees (67 Fahrenheit degrees). In July and August the thermometer gauge can raise to +35-40 Celsius degrees, but more often it stays at + 25, 30 Celsius degrees. Change of seasons is very distinct in Ukraine, snowy winter, flowering warm springtime, hot summer and gilded autumn. Standard voltage in electric networks all through Ukraine is 220 volts. Faults in electricity supply occur very seldom and, as a rule, are immediately eliminated. Official state currency since 1996 is hryvna. We have money bills by nominal values 1, 2, 5, 10, 20, 50, 100 and 200 hryvnas and small change coins by nominal values 1, 2, 5,10, 25, 50 kopecks. You may change hard currency for hryvnas at exchange posts offices all over the city and at banks. You can get cash for your travelers checks in hotels and some banks. Credit cards are taken for payment only in large hotels, restaurants and shops. See more information about Hryvna at The National Bank of Ukraine site . Also pay attention to the description of protection techniques implemented in Hryvna as counterfeit currency is not so rare. Ukraine is a cash economy. Traveler's checks and credit cards are gaining wider acceptance in larger cities. Use of credit cards is limited to the better hotels, Western-style restaurants, international airlines and select stores. American Express, MasterCard, and Visa are commonly accepted. A passport or diplomatic card may be required whenever a credit card is used. You can take cash money from your credit card in any cash machine. Also you can use services of international money transfer companies, such as Western Union . For drinking water, people use water filters, or boil tap water. We do not advise you to drink tap water without filtering. Better buy drinking water at shops. Big popularity among people enjoys water retrieved from artesian bore holes, 600 and more meters deep. Cars selling artesian water can often be seen thought the city. This water is much cleaner than the tap water, and usually is aerated. In each house, there is cold and hot water. Official state language in Ukraine since 1990 is Ukrainian, but Russian language is also used. 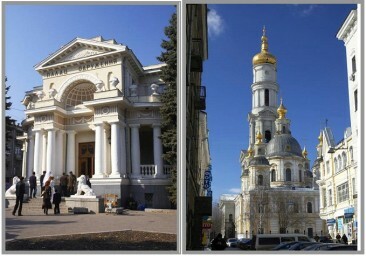 In big cities of Eastern part Russian is mostly used and in villages - Ukrainian. All official documents are exercised in Ukrainian, mass media uses two languages. More and more people in Kharkov speak English, especially students. Hotels, restaurants, bars, private companies have people who know English. But do not hope to hear English in shops or town transport. In Kharkov there are 8 theatres, including the oldest puppet theatre, the theatres of Russian and Ukrainian drama, opera and ballet theatre, theatre of musical comedy etc. We have several modern and well equipped cinemas. The classics lovers visit the house of Organ and chamber music, which is situated in a building which is the monument of architecture. In the very center of the city there is a park in the name of the poet Shevchenko. The park is the oldest one in the city. It is located on the square of 25 hectares and more then 15 thousands trees and bushes grow there. There are huge oaks there, which are more then 200 years old. 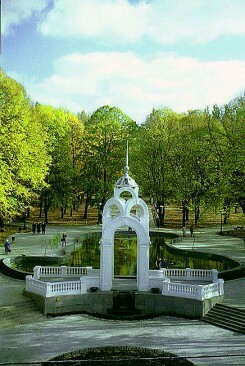 The park is the favorite place of rest for all Kharkov people. Kharkov has a wonderful circus, which regularly holds the performances of wonderful famous circus teams. In Kharkov zoo, founded in year 1895, one can see about 5 thousands of animals from all continents. Also Kharkov is famous with its museums: museum of History, museum of Police, museum of sexual cultures of the world, museum of Nature, museum of Fine Arts etc. 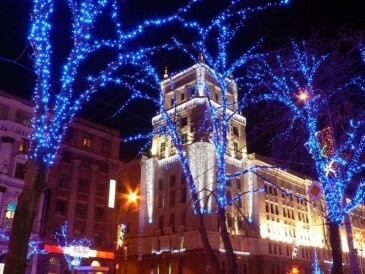 There is a lot of popular night clubs, discos, art-clubs, and entertainment complexes in Kharkov. In the city there are active sport facilities, like paintball, hippodrome, billiards, bowling, swimming pool and other amusement places. In spite of the common in western newspapers view that the streets of Kharkov and other ukrainian cities are dangerous for foreign tourists, this is not like this. In fact, streets of Kharkov are much more safe than the streets of New York, Los-Angeles or Chicago. You can freely move along the streets at night time, if you keep your usual behavior. Try not to call attention to yourself, don't carry big sums of money with you, do not use services of street money changers, keep your eye on your baggage and your own pocket when using public transport. Do not carry money amounts greater than needed in your pockets, avoid getting into taxi if there are already several passengers in it. 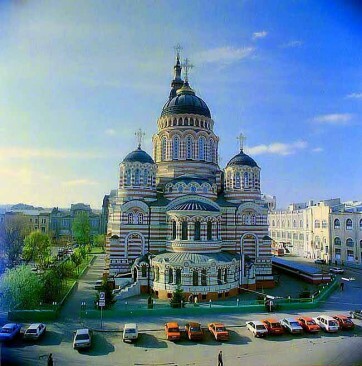 Follow all principles of good sense and your stay in Kharkov will be pleasing. Since 04.01.2005 visa is not necessary for citizens of the EC. Citizens of other countries should provide (or send by mail) an invitation and their passport to the Embassy of Ukraine in their countries. Which air travel companies are available in Kyiv? In Kiev there are Air France, KLM, Alitalia, Ukrainian Airlines, Lufthansa, Lot, Malev, Swiss Air, Austrian Airlines and other companies. 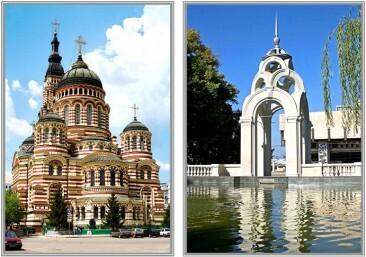 Which air travel companies are available in Kharkov? In Kharkov there is office of Austrian Airlines company.